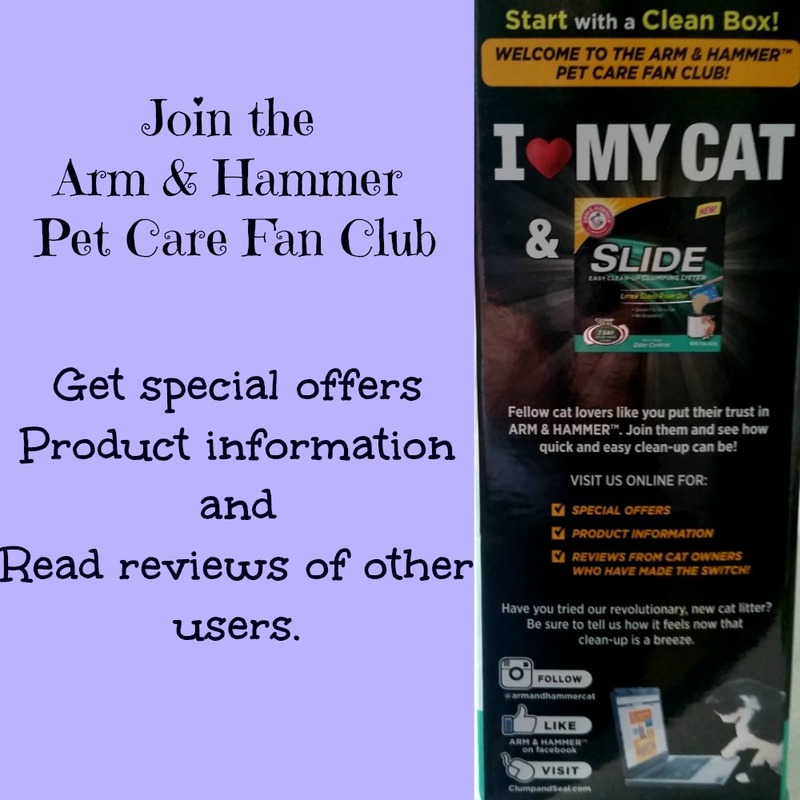 Carma Poodale : Arm & Hammer™ Slide™ Cat Litter. Is It Great or Is It a Bust? Have you seen all the commercials for the new Arm & Hammer SLIDE cat litter? It is the cat litter that is supposed to SLIDE our of the box without a chisel and hammer. Seems like no matter how much you clean your cat box, there is still those big crop circles with pyramids in the middle you have to scrap out. Ma absolutely hates that job. She always asks the cats if they are eating glue. We decided to purchase a box of SLIDE to see how we liked it. We thought you may like to know more about it too. We are NOT being paid for this and all opinions are our ma's own. She is the professional pooper scooper in this house. $10 off $60, $15 off $75 at PetSmart.com! 3/24 - 3/27 Only. I asked on Facebook what questions our followers had about the SLIDE cat litter. We got a lot of good questions that I will answer in a few minutes. 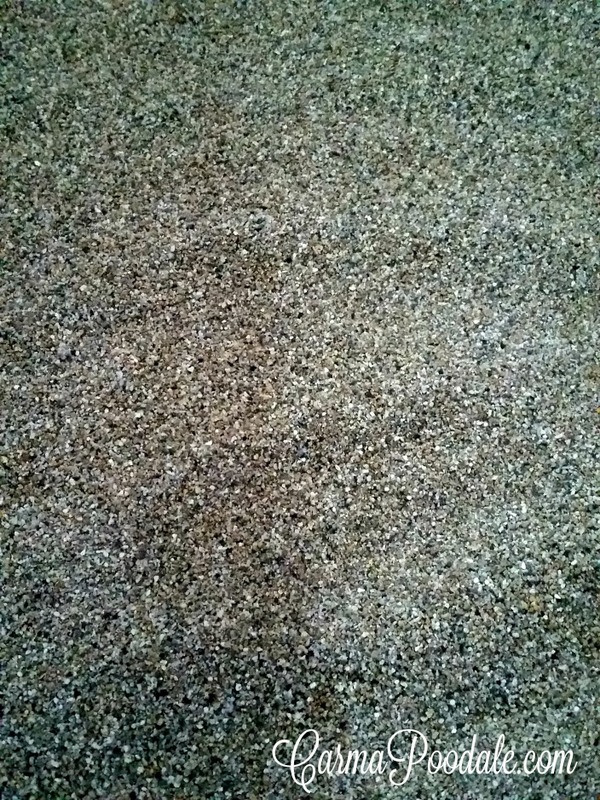 The SLIDE cat litter looks like regular litter except it is ground down to almost the size of sand. It is a soft to touch litter. It was like playing in sand except the granules were a little bigger. Don't worry, ma played with it BEFORE the cats were allowed to use it. She washed and disinfected one litter box before adding the SLIDE cat litter to it. She had already filled it before she remembered to take a photo of the clean box. 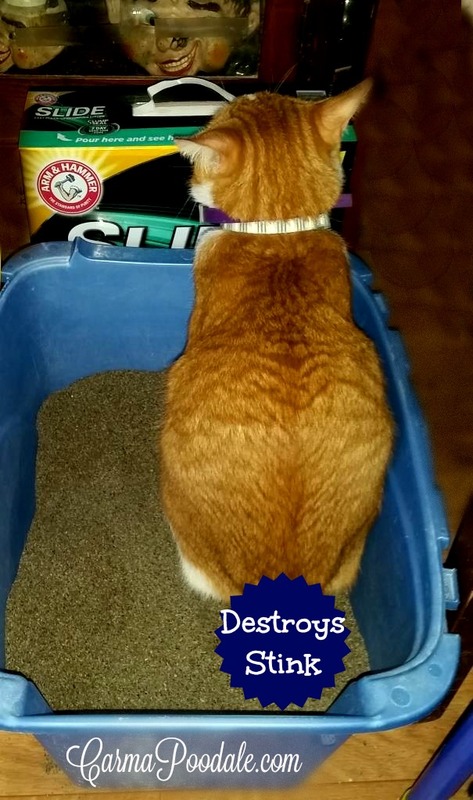 Filling a litter box can choke us all up. The dust flies up in the air and settles on top of our aquarium water. NOT SLIDE. There was NO dust and if there was, we didn't see it. This made ma SMILE. As soon as she set the box down, it had a visitor. Daedae played in it a while and then decided to test out the odor destroying granules. We all held our breath as he did his business. When DaeDae covered up his stuff, he jumped out of the box and the first thing we noticed was the litter stayed in the box and not on his feet. SLIDE keeps the litter in the box, not on the floor. We waited and never smelled the present that DaeDae left in the box. This only means that it actually does destroys odors! BUT would it continue to kill odors for the rest of the week????? When ma scooped the litter, she was pleasantly surprised at how well it held together. 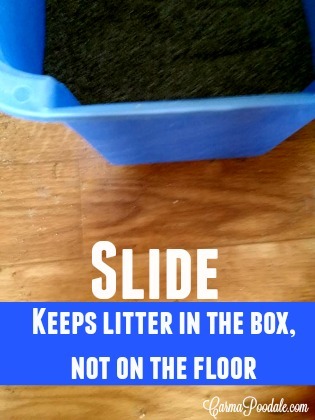 The SLIDE cat litter clumps perfectly. There was no dust from running the scoop around the litter to find bury treasures (poops) and there were minimum smells. Arm & Hammer guarantees a 7 day odor free home or your money back. We had left one box with our usual litter and one with the new SLIDE. Apparently, the kitties preferred the SLIDE. That box was used way more than the other one. Even the rabbit used it. Arm & Hammer does not recommend using it with other animals other than cats. You can find where it is available at their link. SEARCH You can even get a $2.00 off coupon that you can print at home to try out the product. 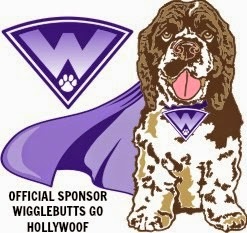 While you are there join their Pet Care Fan Club. SLIDE comes in Multi-cat or Nonstop Odor Control formulas. We chose the Multi-cat formula. Ma has to admit that this is her favorite litter so far. The cats like it the best also. That box gets used way more often. Being it was a 19-pound box, ma wasn't sure about the price vs the quantity but with SLIDE you can use less. We have used it for 1 week. We wanted to really put it through the test before talking about it. One box will last around 2-3 weeks depending on how many cats are using it. One other thing we liked is when scooping, we only got the clumps and not a lot of extra litter like other brands. For 2 days we didn't even top off the litter since we were only taking out the clumps. The 3rd day, we added around 1 1/2 -2 cups of litter to top it off. With 2 cats using the box, we didn't think that was bad. 1.What is it made of? As far as we can tell it made out of a finely ground clay based material. We could not find what the real ingredient was and at the time of this post, we have not heard back from Arm & Hammer. 2. Is it odor free or contain heavy perfumes? It is odor free. Neither box we seen had any perfumes added and it really doesn't have a smell. 3. Does it work? YES! We have never used a litter this great. It was easy to scoop, left no residue outside of the box, and covered odors. When we changed the box, it slid right out leaving nothing behind. 4. Does it really control odors with multiple cats? YES! We had 2 cats and 1 rabbit using it and never was able to smell the cat box. Takes care of urine odor too. It has the power of Arm & Hammer baking soda in the formula. 5. 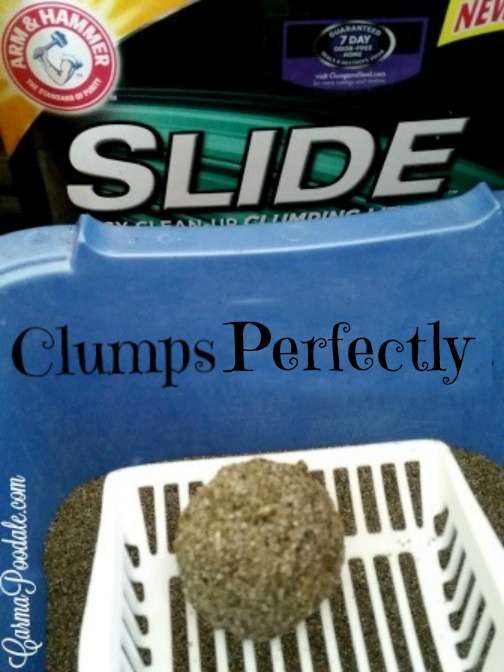 What do they add to make it clump? They use a plant based material to provide clumping. They also use micro moisture granduals to absorb the odors. 6. Is it dusty? NO. It is 100% dust free. *You can actually breath when pouring the litter. This has to be better for cats who suffer from asthma or other breathing problems. The no perfumes should help too. * **these are my thoughts and not something that Arm & Hammer has claimed. 7. Is it worth the price? We think it is! 8. Do you use more or less of the litter than other brands? We used much less. We didn't have to put as much in the litter box nor did we have to top it off as often. 9. Did your cats really like it or you just saying that for this post? Molly Mew and DaeDae preferred to use this litter over our regular brand. Even though our regular brand is in the favorite cat box. 10. How often did you have to sweep around the cat box? With our regular litter, we had to sweep a couple times a day. With the SLIDE we have swept once. It stays in the box and not on the floor. I will give the new SLIDE a Poodale stamp of approval. As soon as we run out of our other brand, this will be the only brand we buy. I hope that I have answered your questions and you have a better understanding of this litter. Why don't you try one box for yourself? We bought ours at PetSmart on sale for $9.99 for 19-pounds. The box had a $3.00 use now coupon along with a $3.00 use later coupon. Our box cost $6.99 with coupon. You can print off a $2.00 coupon located above to help with cost. Have you ever tried the SLIDE? Do you think you will try it now?? Thank you so much for this review. It has answered my questions. I will print out the coupon and buy a box and try it on our multiple cat boxes. So happy to hear my review helped you! I would love to know what you think about it when you get to try it. Yes we know it is not safe for rabbits. Ma has moved the box a few times but Peanut Bunny still finds it. You are not being annoying. I always love when my readers are looking out for other animals. I truly appreciate it. I am still looking for the perfect Kitty Litter. Yes, I hate chiseling it off the bottom of the box, but I am also concerned about dust. My last cat couldn't tolerate dust and with my new cat, I don't want to expose her to it to begin with - so I'm cautious about clay. Huh.. I may seriously have to try this. The litter ending up on the floor is my biggest complaint. Thanks for the recommendation. I know ma was really happy to not see or feel litter on the floor. It is really amazing stuff. Hope you try it. Wow, this product really sounds like a miracle litter! As someone in a scent-free household the no odor thing is a huge plus. 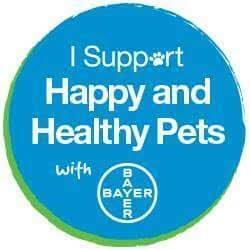 Yes being scent free and dust free makes it the best litter for us. I am so glad that we tried it. It is the best litter we have ever used. I have very little experience with cat litter, but I'm glad this was a hit. I know it's not a fun process to clean a litter box, so anything that makes it better sounds like a win to me! I love that the litter stays in the box. I also don't have a ton of experience with litter but I know that these issues are key for cat owners. 100% dust free is awesome as my friend with cats has allergies and complains a bunch. Odor free sounds awesome! Thanks for answering the questions. I'm glad it doesn't have an odor. It's on sale in Acme this week so We might pick one up. The last few times TW has been cleaning and refilling the box, she's wound up with an asthma fit and then an upper respiratory cold. If this isn't dusty, it would be good. Arm and Hammer makes no claims that it is okay for those with asthma. I personally think it is a better litter for those with asthma considering there is 0 dust. Ma loved that no dust got in our aquarium. 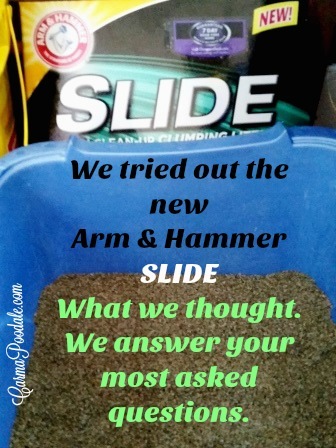 Soon as we run out of the other brand, SLIDE will be our all the time litter. It was worth the price and we seen they have a bigger box of it too. I also suffer with Asthma and have struggled with litter problems for years, the perfumed ones are unbearable for me, and I've gone through them all trying to find something that works, well I believe I have found it, this litter is GREAT, there's no dust, no stinky smell, and when you scoop it there's no little particles left behind in the litter box, it always looks like fresh litter, I love it!! Wonderful cat litter. Sad that one of my four cats had an allergic reaction to it and got milliary dermatitis for a while and we had to stop using it. I like this litter, but it has its cons. 1. price. This stuff is expensive. 2. After a day or two it smells like pooperie and I can smell it all over the house and I have a big house. I have to to clean it out and put oder neutralizer in it. 3. It does get out of the litter box and on hardwood floors it leaves a layer of litter everywhere and I have to vacuum constantly.